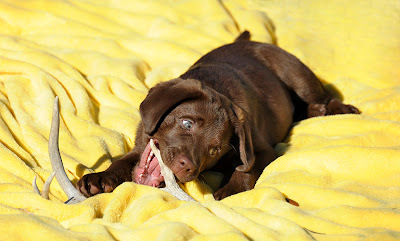 Today Rob shot some pix of Brady, a friend's Chocolate Lab puppy. He had lots of challenges to overcome! Sit ... STAY! STAY! STAY! Will you behave if I give you a belly rub? Brady & Stella loved romping after his shoot.